Obstinate Pursuit: It's Counterfeit Kit Time! I think we're all aware of just how much I love the Counterfeit Kit Challenge. I have truly had so much fun playing along with the challenge; putting together cute kits from my own stash and creating some much loved layouts as a result. And the love affair is not about end any time soon. This month the Counterfeit Kit DT chose the amazing A Little Birdie Told Me kit - the first from Front Porch Kits - to counterfeit. Since it sold out within such a short period of time, I have no hesitation whatsoever in a little copying. The kit is based on Echo Park's collection For The Record and, although I have the kit on order, I just could not wait to play along and put my own kit together. (Though I'm sure that once it arrives, some of the papers may find their way into my kit this month.) So, in my version of the kit, I have tons of Bazill Cardstock - I'm a big, big lover of Kraft - and some of my favourite patterned papers from American Crafts. This time around I've 'splurged' on the embellishments and I've added a huge amount of flowers - some bought and some handmade - along with a variety of leaves, brads, buttons, chipboard shapes, beautiful trims and some yarn remnants. Disappointingly, I couldn't find my 'googly eyes' so expect them to appear in the kit at a later stage if I manage to hunt them down! 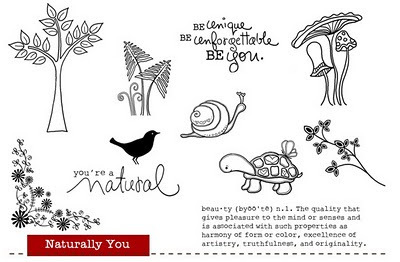 I'm also using my new stamp set from Make The Day Special - Naturally You. How perfect are these stamp sets? I couldn't believe it when I saw the kit and knew I had just the right stamps! In the process of putting my kit together, I also pulled rather a large amount of scraps - some paper, some fabric - and although there's no add on kits with the original I've made my own - Birdhouse In Your Soul. This little kit is perfect for making mini-books, cards and smaller, little projects and is made up a ton of paper scraps in colours and patterns to match the main kit. Also included are several fabric remnants, burlap and some tidbits of ribbon, along with more delicious trim and another stamp from Itty Bitty - Dreams Make 'Em Happen. What do you think? Can I manage to make teeny, tiny scraps look appealing? Wow, this is a great Counterfeit!! 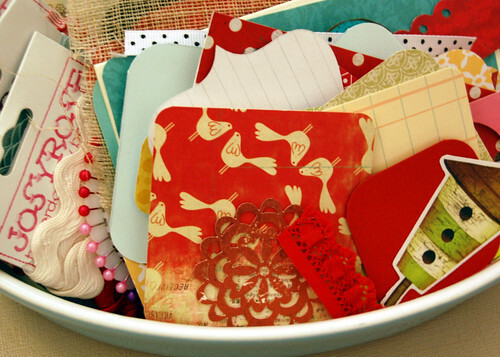 And I totally love the idea of making a "scrap paper add-on"-I may have to dig into my scrap stash and do the same!! You are right - those stamp sets are perfect! I love your kit! Wow, your paper crafting is really inspiring. I would have no idea where to start- let alone combine all those gorgeous elements as you have. Gorgeous! I love it! 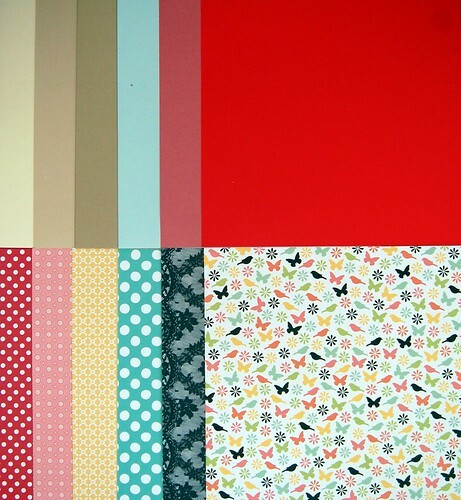 I love the butterfly/bird/flower paper! Can't wait to see what you make! Thanks for playing at CKC blog! Oooo - pretty; I'm especially liking that add on. Have fun with it! Love it...looks like lots of fun is ahead for you. Bright and cheery! Love your butterfly and bird paper. 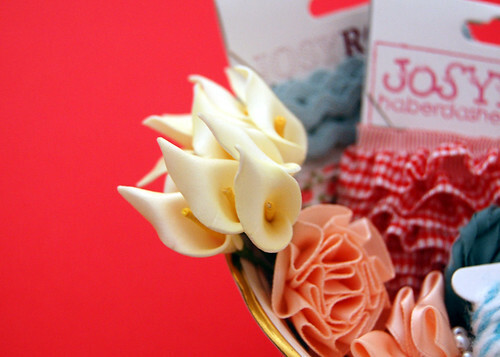 oh love those flowers and all the bright colors of the papers! I love that you made upurbown ad on kit with scraps! And those stamps are too cute! Can't wait to see what you create. Beautiful looking kit - can't wait to see what you do with it! Great kit! Love all of it! oooh oooh ooooh I love/need/WANT your kit - it's stunning! LOVE your kit! Such great colors. You are the second person I have seen to add scraps to their kit, such a wonderful idea to help use them up. Great blog. What a fabulous idea to use your scraps and make and add on kit for yourself!!! Gorgeous kit! And those are THE perfect stamps! Amazing kit, Clair! I love the attention to detail-my favorite part of these kits are all of the little embellies. Such fun to make your own add-on kit, too!